This is a unique opportunity to cover our EU layouts with classic colored and minimal sets for the currently and future GMK. WoB & BoW base sets. I want to thank all the good people who took there time to the answer the survey. Asked or requested good ideas. Big thanks to you gents and ladies. Further let me know any remarks in the comments, all inputs are highly welcomed! These are the updated and most relevant QnA. 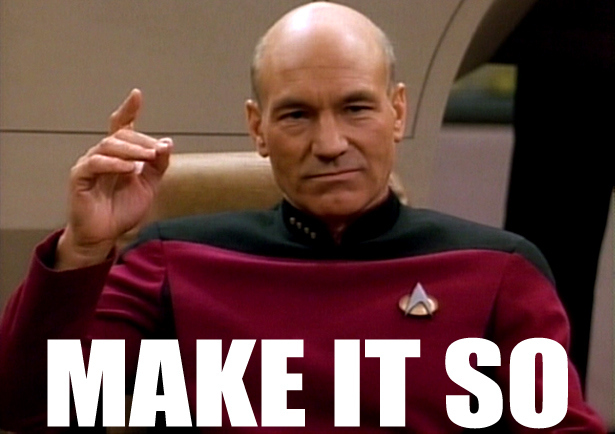 Q: How many kits would you buy? 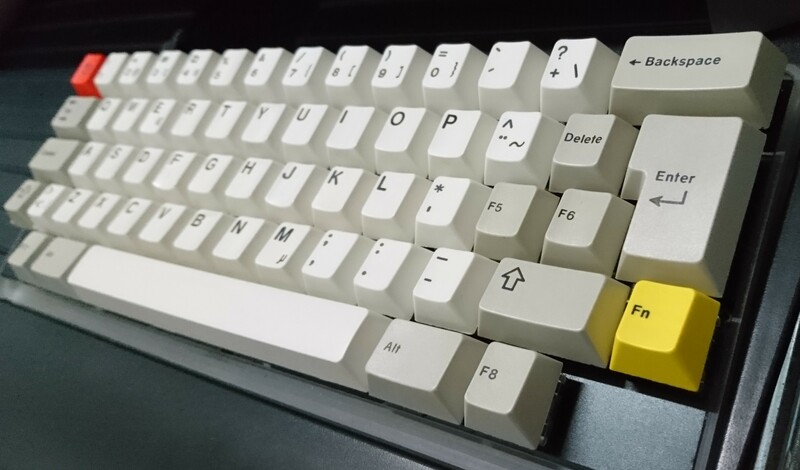 Q: Would you be interested to see ALT GR 1.25u & 1.50u modifier key include in the kit? 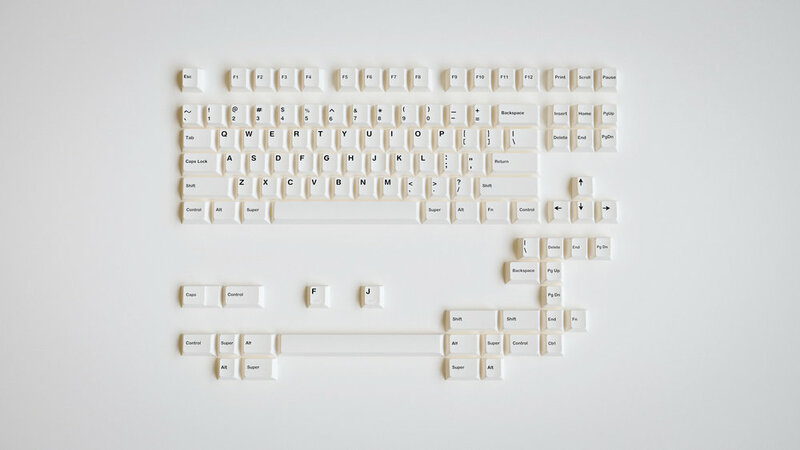 Q: Is there any other keys you would like to see in this kit? A: I dont know if this is the right kit todo so. A: Same as above answer. This is perhaps not the right kit todo so. 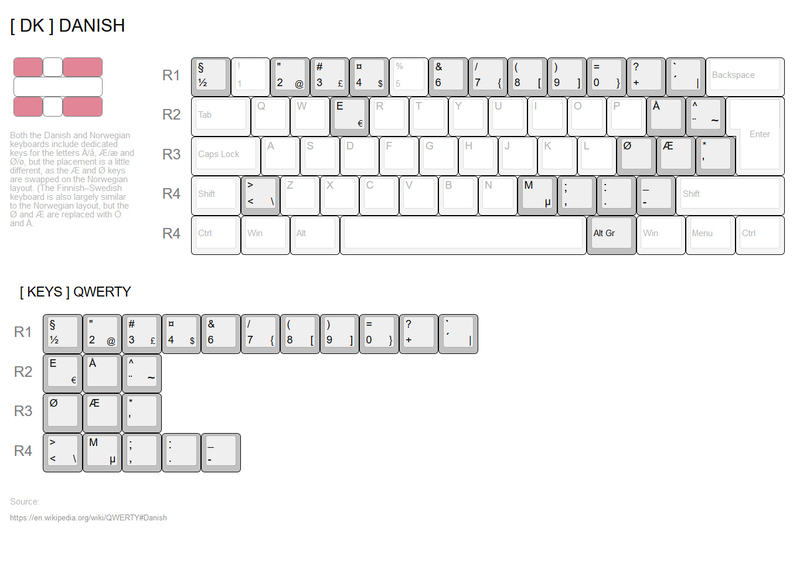 Q: Would also be cool with a couple of blank R4 1u keycaps to mimic a WKL layout without being WKL. Q: R5 1.25u and 1.5u mods! A: I personally like the idea of a novelty. maybe, but keys are are adding up atm. Q: Yes, the icelandic keys. Þ, Ð. A: Pending and thank you! [ LANG ] [ SUPPORT ] UK, ISL, NO, SE, FL, FO, DK, DE, PT. I know its properly a long shot to add BOW to the IC/GB. 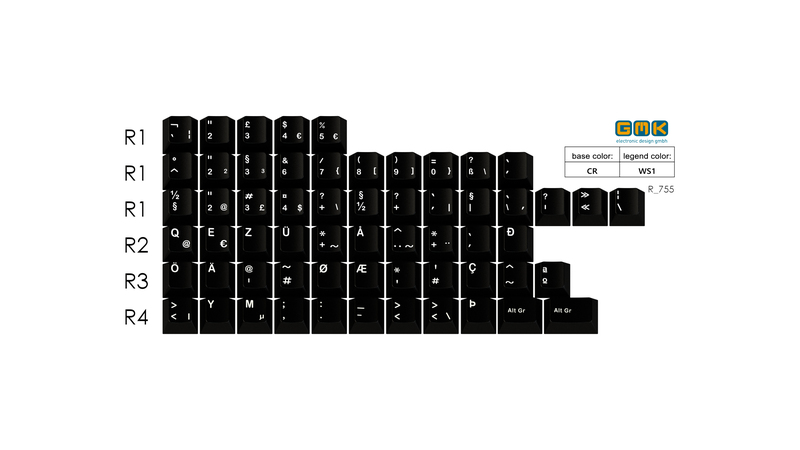 I wanted to play with the idea of having support for the the two most basic sets in GMK world. With the current availability we can see with WoB. Stock WoB marks a great new era and interest that have been growing rapidly over the last year. We could then only hope that BoW would be the next "stock" item. Maybe this add-on kit and GMK Minimal could help push that. That said and showcased. There is nothing i can say that would make it certainly that BOW would hit GB stage. As of now please let me know your inputs on BOW. OBS. 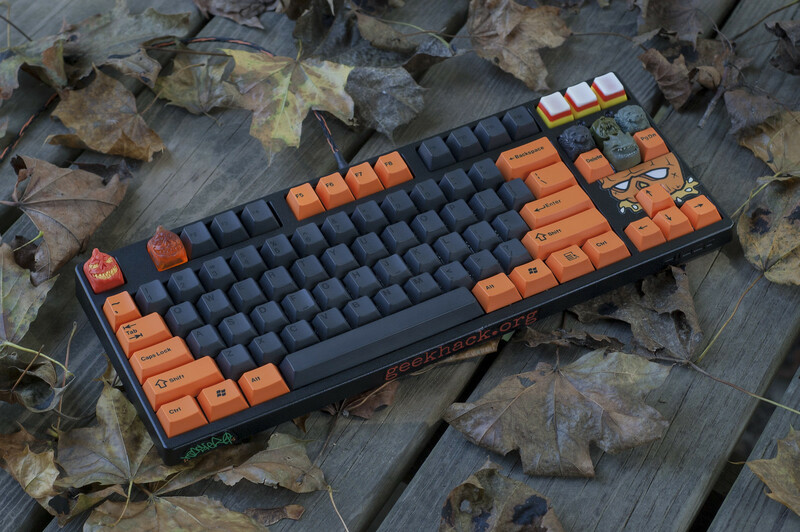 I am aware of some mistakes in the GMK renders. These a prior a update to the kit. I am currently working all "pending" updates. If you have any inputs. please do let me know in the comments! I haven't done a GB before. Please let me know if you have any remarks and concerns. I really hope we can succeeded with this set, for the benefits of most of our EU members. I want one, maybe do a white version aswell ? Would that be a possibility ? 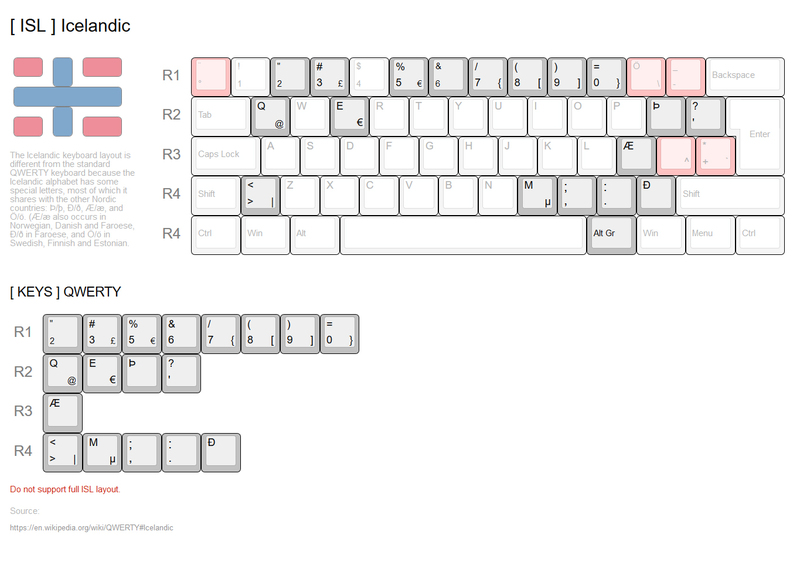 Is there any GMK BoW sets out there and available...? I'll buy 2 sets to reach moq! You know I'm in for this! Very cool idea. 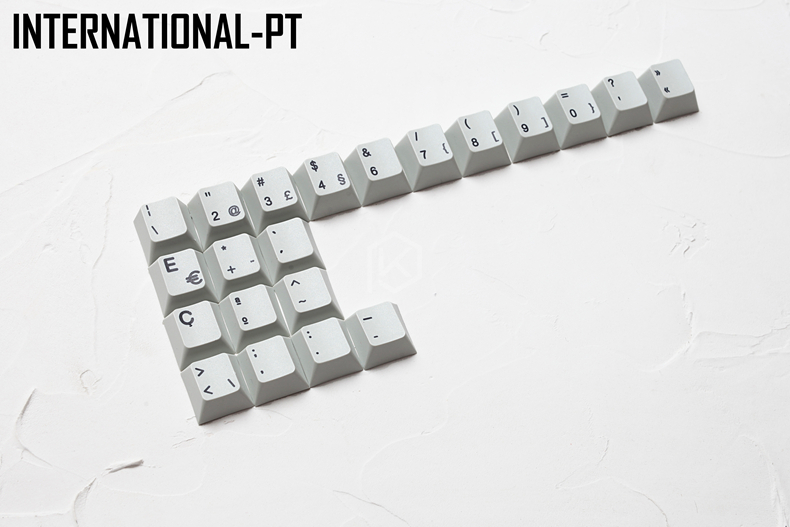 I won't join because I prefer PBT but I definitely support the project. And I too could buy two sets if it's needed to reach MOQ. I would recommend reaching out to CandyKeys and have them as the vendor. They recently teased a German WoB on their Instagram. 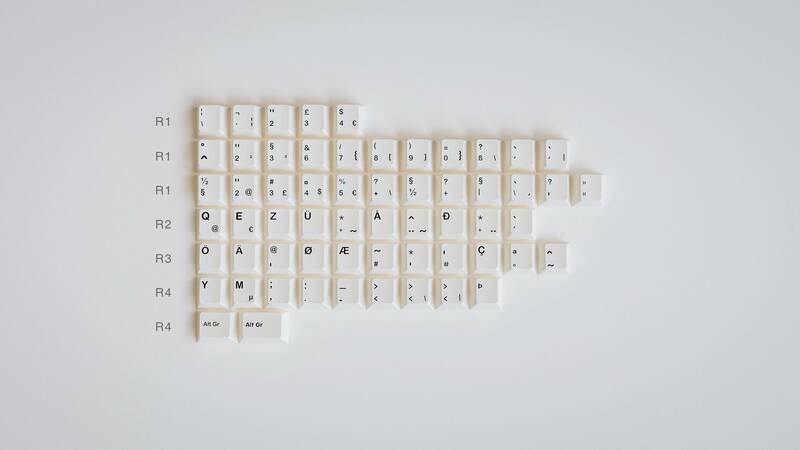 I have spoken to mykeyboard.eu, they wanna help with the GB, we just need to gather some interest. Will come with some updated info soon! 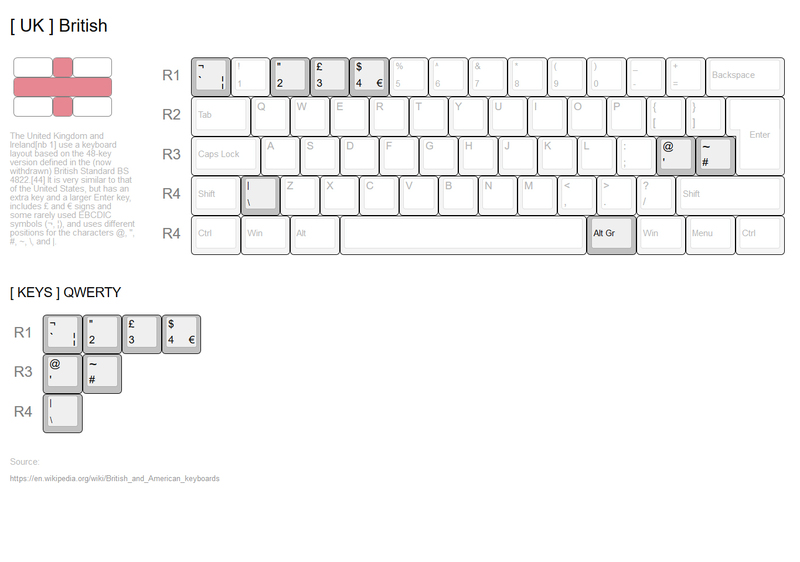 cool, thanks for posting, let me check out what keys is needed, it only looks like 2-3.. get back! As an American, I'm actually very interested in this. Legends should be L9 to make the set OG Cherry compatible. WS1 is too bright and will make OG cherry legends to look yellowed, not a nice combo. 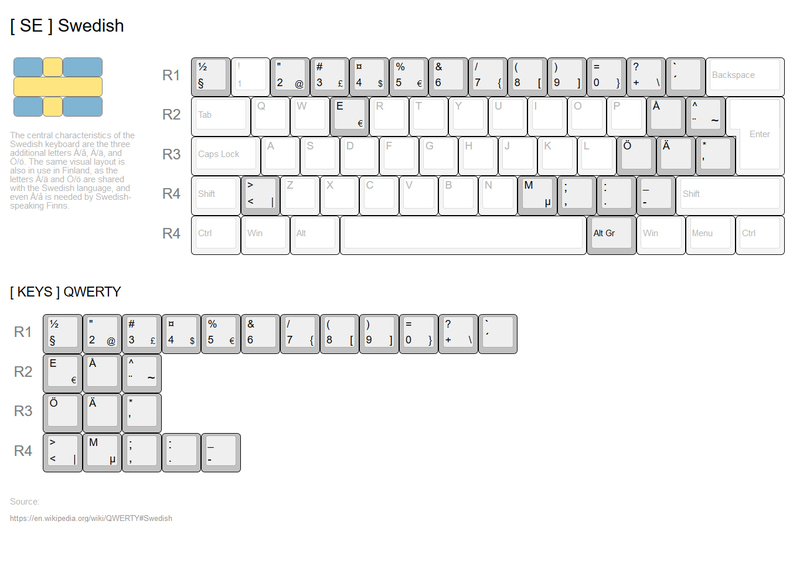 Both the set from Massdrop and the one from Originative uses WS1. 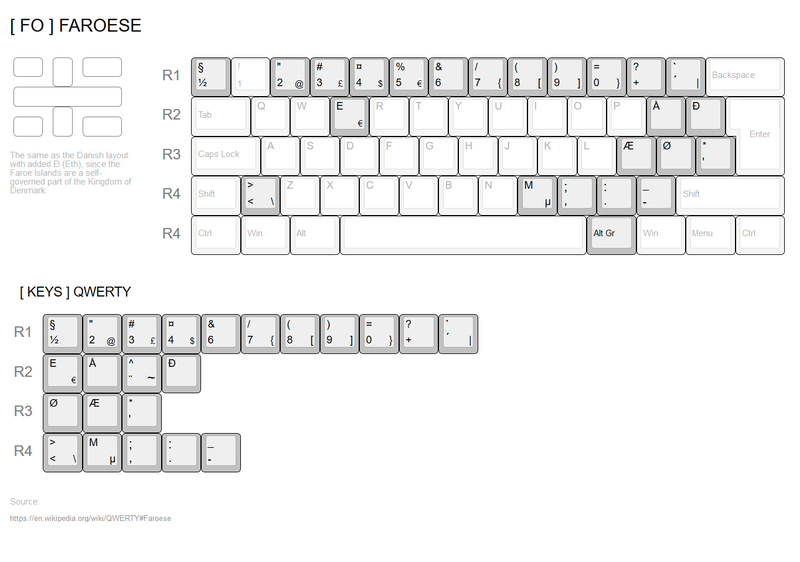 As I have the set from Massdrop I would like to have WS1 otherwise it will look funky. Also Zenna's WoB Icon mods uses WS1. I hope this happens, you should make a google form or something so you can send propective buyers a link when it goes live/moves on to the next stage. Yeah. If the target mother kits are the newest WoB sets then WS1 is the right choice for legends. If it were OG Cherry L9 is required. That divides the potential demand for an already limited audience. Probably the WS1 may have a bit more, not sure if it may reach any MoQ though. Personally, I may join if the final color for legends is L9, but that is just my case. 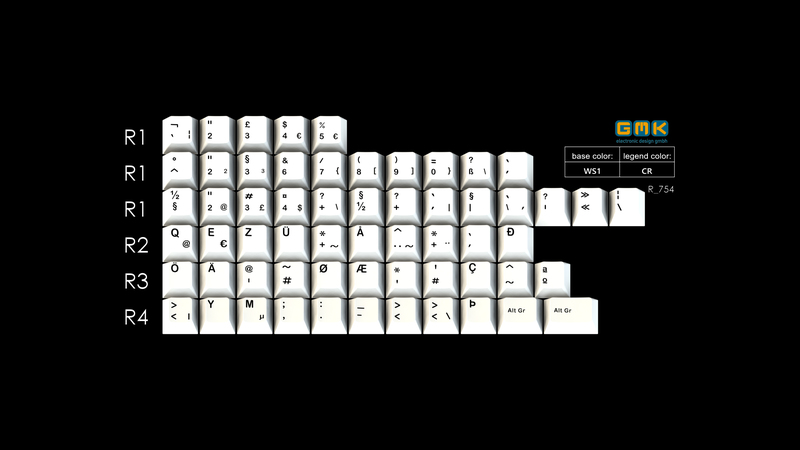 I am using a swidish layout and my ANSI OG WoB may take advantage of a set like this to be usable with my layout. Let's see how the final set is finally defined and if it reaches MoQ. Hoping for the best in any case, this kind of specialty adapters really deserve a chance. Yeah.. This kit is targeted towards WS1 on CR, would love to have a full set of N9 base though.. Updated the survey with a question of adding both 1.25u/1.50 ALT GR to the kit. Really hoping for your set to reach MoQ, even against odds and previous trials. Godspeed. Thanks Ideus, your support is much appreciated! I am already deep in with 3 base sets so we must succeed haha. If the price and compat is right, i do think the kit has a good chance. Good initiative, hope this succeeds! Thanks Mate, me too! If you haven't would be cool if you could fill out the form, the more info I can get, the better I can fine tune the details. What we really need for WoB is another round of icon mod kits! I am just gonna let the IC stay like this until end of next week. I will then update it based on the info I get in. ...but can we do NORDEUK first, please. I am already very tempted to get a set. 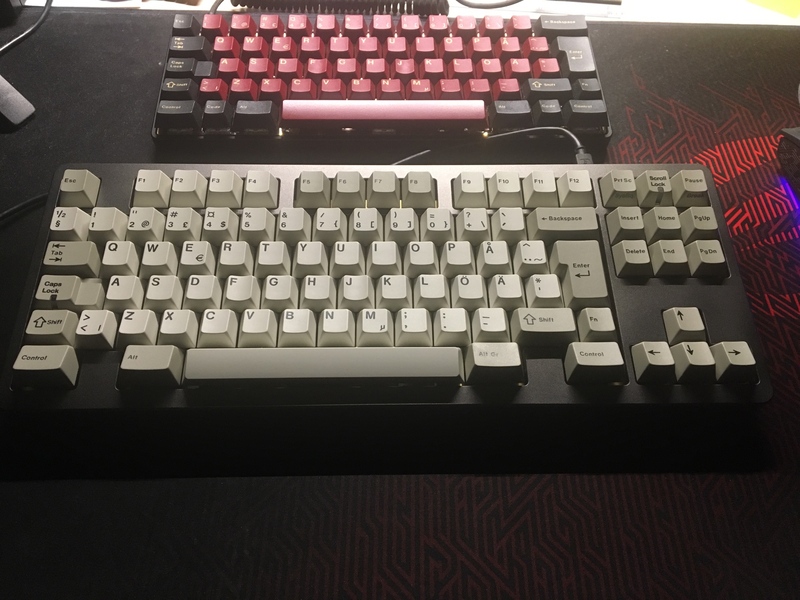 I have been using a swedish layout on all my boards at home, at the office and I even ordered a replacement keyboard for my laptop, so this may allow me to use a white on black theme not only the beige one that I am using now. Good to hear! Yes, hopefully this kit can change that. 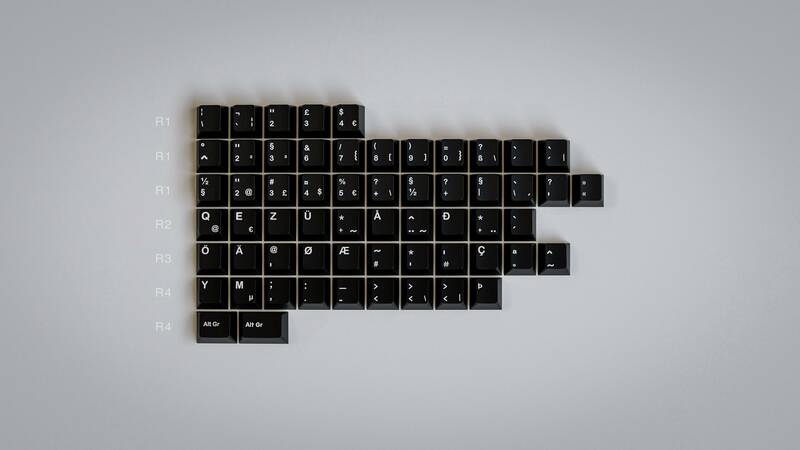 I have the same reason, use a danish layout most of the time.. I have been waiting for a couple of years for a "no pop of color" set, that can work with the most. Timing seems right as the WoB set from MD is cheap and available without being in a GB..
( Hopefully they will stock some more after they finish the current stock ) The availability and future WoB sets is there. haha, i used 30 seconds to much on that gif.. :D what where you saying...? Great. Ultimately I would like to dress up my LZ with WoB. 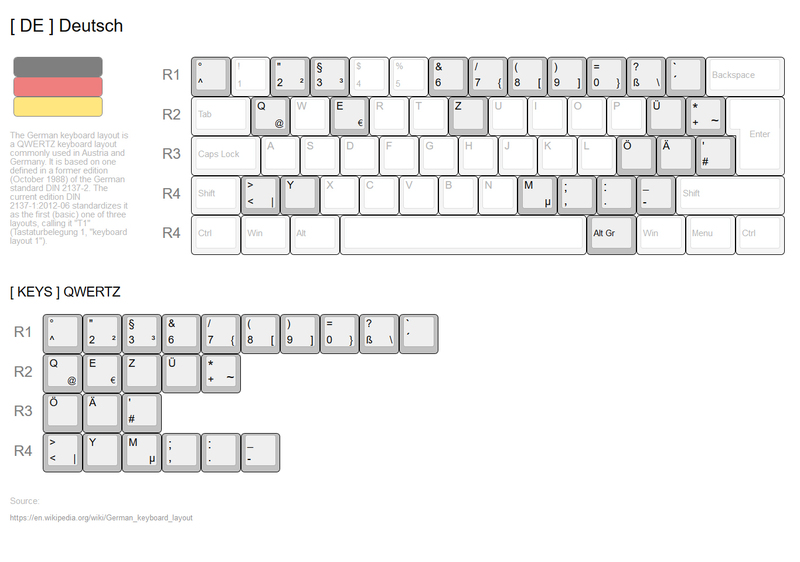 So a kit with text mods where bottom row is R5 and also windowed caps and scroll would be endgame teritory. in for WOB cant wait. The same sentiment here. However, we should give the benefit of the doubth to those that want to try it one more time. Page created in 0.271 seconds with 74 queries.